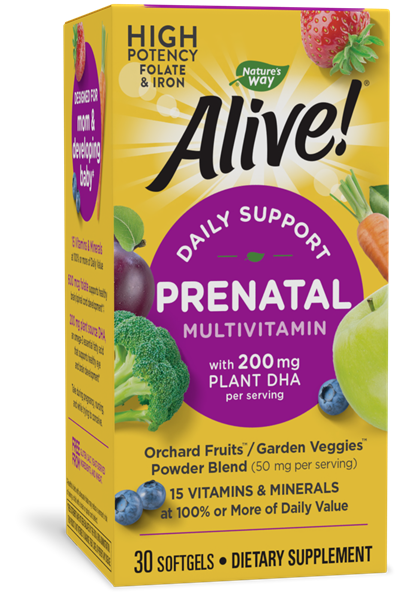 Alive!® Prenatal Multi-Vitamin Soft Gels - Nature's Way®. For women that are pregnant, nursing, or trying to conceive, take 1 softgel daily. If taking any medications, consult a healthcare professional before use. ‡Healthful diets with adequate folate may reduce a woman’s risk of having a child with a brain or spinal cord defect. life’sDHA® is a trademark of DSM.